Generously coat 12 Chicken Drumsticks in Whiteford BBQ Spice Rub refrigerate 12-24 hours. Let the sauce cool to room temp. Use a generous amount natural wood charcoal in grill or smoker. Let the fire get hot and then wait 45min-1 hour for the heat laydown to about 350 degrees. 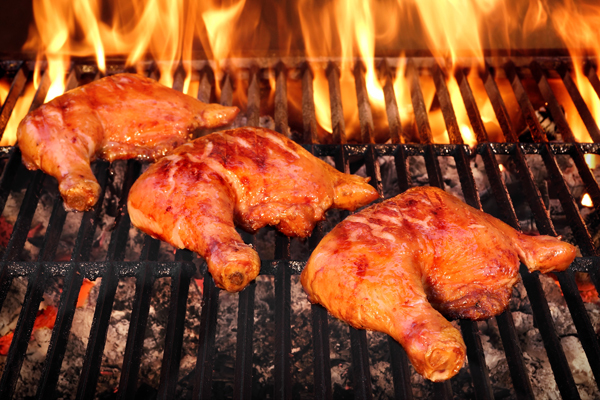 Coat the drumsticks in honey mustard sauce and place them on grill for 1-1.5 hours. Turn and baste every 15 minutes with Whiteford’s Ole 70 or Sweet and Spicy. Keep a water spray bottle close for flare ups!